Simply thinking about this book gives me shivers. Sjón combines sly comedy with myth and history to form a powerful & surrealistic fable involving transformations of the body, of the heart, and of the natures of reality and time, seen through the eyes of stuffy fish-loving narrator Valdimar Haraldsson. Indelibly beautiful writing with images sharp as salt spray. Already celebrated far beyond his native Iceland, the novels of Sjón arrive on waves of praise from writers, critics, and readers worldwide. Sjón has won countless international awards and earned ringing comparisons to Borges, Calvino, and Iceland's other literary superstar, the Nobel Prize winner Halldór Laxness. 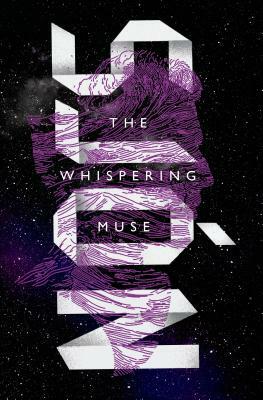 The Whispering Muse is his masterpiece so far. The year is 1949 and Valdimar Haraldsson, an eccentric Icelander with elevated ideas about the influence of fish consumption on Nordic civilization, has had the extraordinary good fortune to be invited to join a Danish merchant ship on its way to the Black Sea. Among the crew is the mythical hero Caeneus, disguised as the second mate. Every evening after dinner he entrances his fellow travelers with the tale of how he sailed with the fabled vessel the Argo on its quest to retrieve the Golden Fleece. What unfolds is a slender but masterful, brilliant, and always entertaining novel that ranges deftly from the comic to the mythic as it weaves together tales of antiquity with the modern world in a voice so singular as to seem possessed.